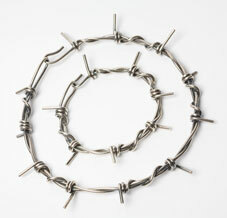 The Barb Wire Pendant forms part of my range of contemporary barbed wire jewellery. 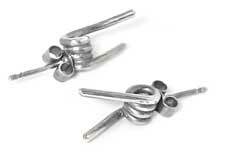 It's made from 1.2mm round silver wire, twisted and formed to resemble barbed wire. 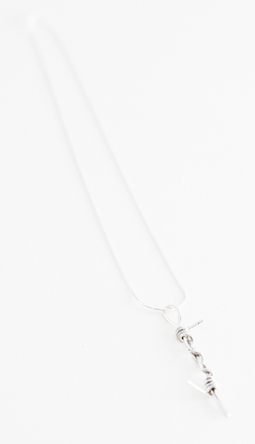 It hangs from an 18″ silver snake chain. 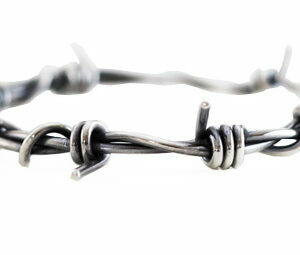 The Barb Wire Pendant is a rather feminine necklace and it forms part of my range of contemporary silver barbed wire jewellery. 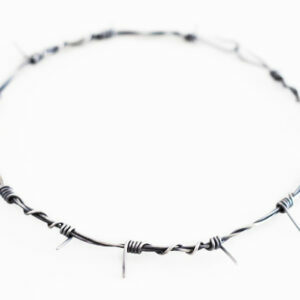 The pendant is made from 1.2mm round silver wire, twisted and formed to resemble barbed wire. 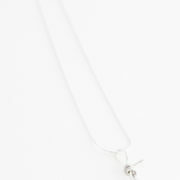 It hangs from an 18″ silver snake chain, the pendant itself is approx 8cm long. Select your preferred finish from the drop down menu. As with all my work, it’ll arrive gift boxed and with free UK delivery.